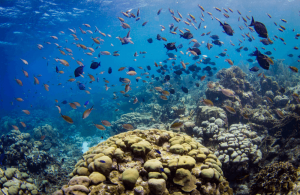 The loss of coral reefs around the world through bleaching, pollution, destructive fishing practices and other environmental hazards, has prompted scientists and conservationists to look for ways of regenerating damaged reefs. Until recently, most of these projects involved coral transplantation – collecting coral fragments from damaged reefs and allowing them to mature in a coral nursery, before re-attaching them to the damaged reef. Other initiatives include the manufacture and sinking of concrete balls or ‘reef buds’ to encourage new ... click here to continue reading.